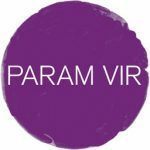 Delhi-born composer Param Vir is a leading figure in contemporary music. Based in London, his output encompasses works in several genres that include chamber music, symphonic works and opera / music-theatre. His works have been performed by major ensembles, orchestras and opera houses, and presented at several international festivals. He composes prolifically, and recent seasons have seen the premieres of several major works, including a full-length opera Black Feather Rising, a choral work He Begins His Great Trance for the BBC Singers, A Spread of Dreams for the Orchestra of the Swan, two works for cellist Rohan de Saram and a work for the BCMG and Darbar Asian Arts Heritage.